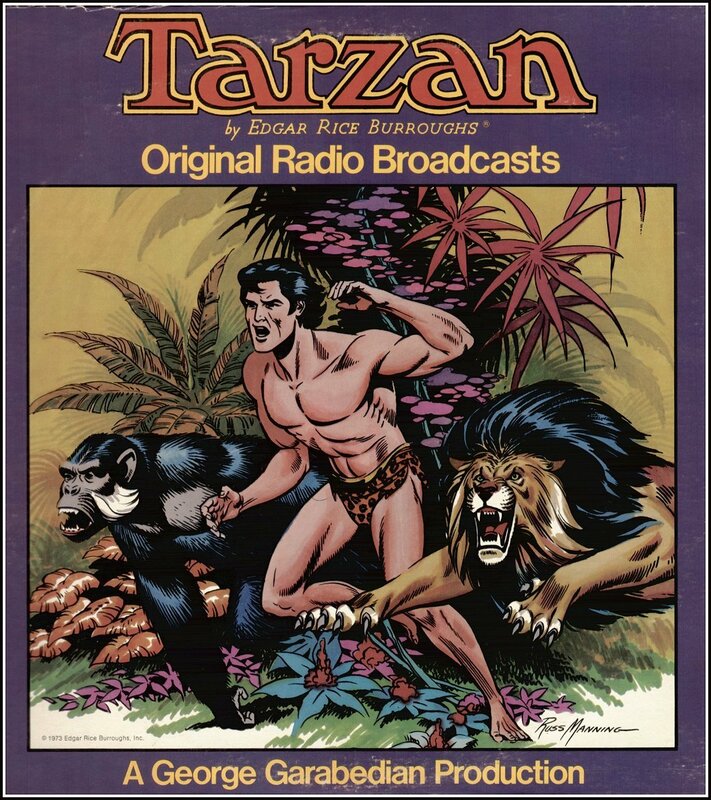 "Your Internet Source for Vintage Radio Shows & Products"
I. TARZAN OF THE APES - The first Tarzan appearance on radio ~ September 12, 1932 -- a syndicated serial that lasted for 286 episodes. It starred James and Joan Burroughs Pierce ~ the cast also included Gale Gordon ~ Cy Kendall ~ Jeannette Nolan ~ Hanley Stafford and Frank Nelson. See ERBzine 0011 for a synopsis of the first 77 episodes in the Hillman collection. 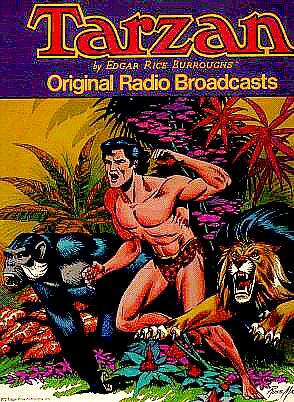 Although originally broadcast in 1934, the following introduction was penned by Edgar Rice Burroughs for the announcer to read introducing a 1940 broadcast of Tarzan And The Diamond of Asher. analysis, and review of this series. May 28, 1934 Mon 7 Legend Of The "Father Of Diamonds"
While investigating the illegal activities of slave traders and ivory smugglers, Tarzan and his friend, Paul D'Arnot save a member of the Burton-Ashleigh Expedition from death. After learning that the expedition is lost, Tarzan agrees to lead the group out of the jungle. Little do they realize however, that they will soon be captured by a strange yellow race, and taken to the lost city of Tohr... There they face the dangers of the arena, rogue elephants and sacrifice to the Fires of Tohr—the result of a hidden lake of volcanic fire that shoots up through a pit to the very arms of the temple god, an idol carved in the likeness of a lion. Befriending the son of the ruler of a rival city who is held as a slave in Tohr, Tarzan and his friends face death at every turn. Love, hate, jealousy, and political intrigue—as well as courage and loyalty—all play parts in this thrilling serial produced under the personal direction of Edgar Rice Burroughs. This Commodore series was first broadcast in 1951. The CBS re-broadcast of this series of 67 stand-alone, 1/2 hour episodes started on March 22, 1952 and ran until June 27, 1953. Starring Lamont Johnson.